All Coworking Spaces in one place: The Coworking-Spaces-Map and overview with all important information. Over 150 coworking spaces have been founded in Berlin in recent years. They have shaped the city as a pioneer of a new work culture and are an important part of the startup ecosystem. Berlin has the third most coworking spaces world-wide and the second most in Europe behind London (Deskwanted.com, Global Coworking Survey, 2013). 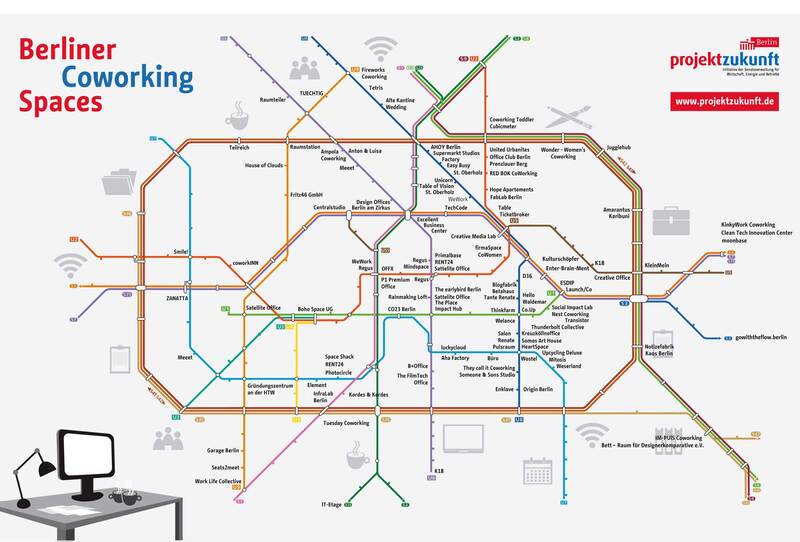 This map shows all coworking spaces in Berlin. The list is continuously maintained and enhanced. New coworking spaces can be included on the map. Which coworking spaces are located in Berlin? Hereyou can find a larger view. You can also download the overview of the Coworking spaces in Berlin as an Excel file. 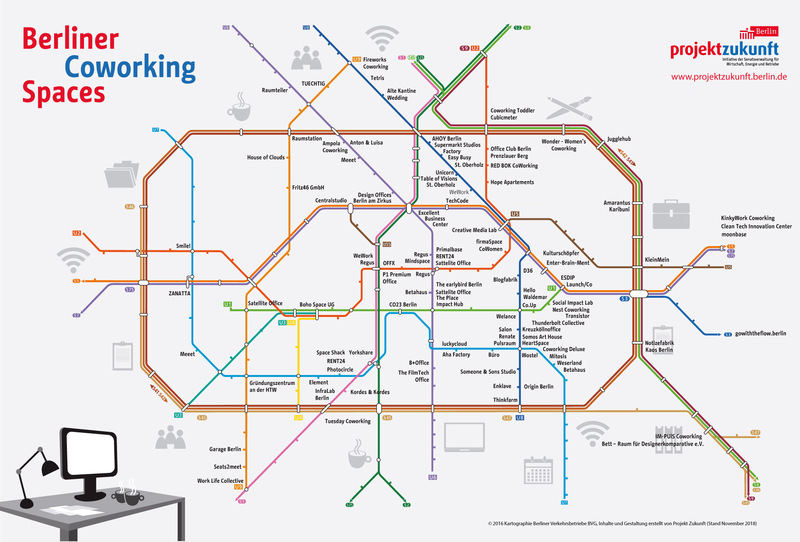 On this map you will find all current coworking spaces in Berlin. The map is regularly updated.